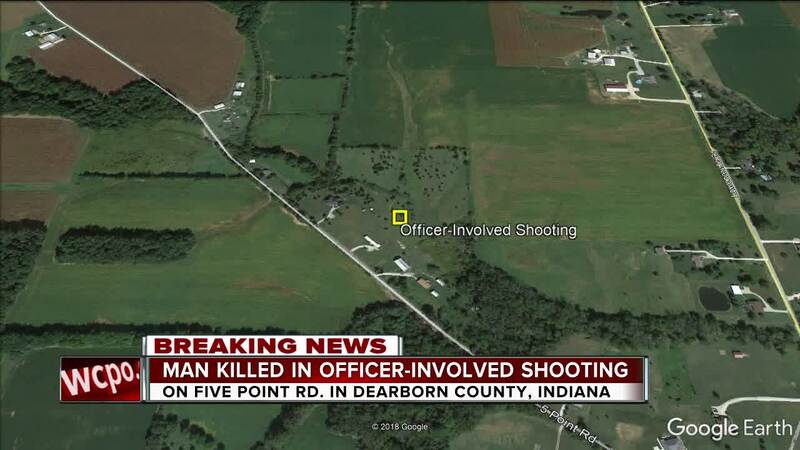 An officer-involved shooting in Dearborn County, Indiana, has left one suspect dead, according to police. At approximately 10:50 a.m., officers from Indiana State Police and Dearborn County Sheriff's Department responded to a disturbance reported to involve a man with a firearm at 12300 Five Point Road in northern Dearborn County. The suspect has been identified as Christopher A. Schmitt, 58. According to press releases from the Indiana State Police, Deputy Brian Weigel, an officer with the Dearborn County Sheriff's Department for over a year, and Trooper Jordan Craig, a three-year veteran of the Indiana State Police, responded to the incident. According to Indiana State Police, Deputy Weigel and Trooper Craig arrived at the scene and were confronted by a man who pointed a firearm at the officers. This led to officers firing their weapons at the suspect, with at least one round hitting him. Officers rendered immediate first aid to the suspect, and he was transported to Margaret Mary Hospital in Batesville, Indiana, where he was pronounced deceased.